MANHEIM, PA., 5/24/17 - PowerTwist Drive, a new power transmission belt from Fenner Drives, does not require retensioning after installation. The new product saves time, labor and money. Because tension is optimized with PowerTwist Drive, the equipment it serves runs better and more efficiently. 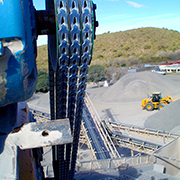 Engineered to maintain optimal tension throughout the life of the belt, PowerTwist Drive is a substantial advance over both rubber V-belts and previous link belting products which suffer from tension decay. Extensive testing conducted to track the tension decay of PowerTwist Drive versus an earlier version of the product shows that PowerTwist Drive maintained required tension through the duration of the test compared to the previous product which required links to be removed after a run-in period. 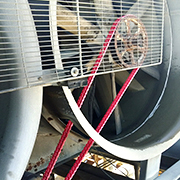 In a typical plant installation, a food manufacturer with 400 rooftop ventilation fans could realize annual labor cost savings of $12.50 per unit when using PowerTwist Drive in place of the earlier PowerTwist Plus. Across all the units, that's a saving of $5000 per year. PowerTwist Drive is made of high-performance polyurethane/polyester composite material. It is resistant to heat, cold, oil, grease, water and many common industrial and agricultural chemicals. It reduces vibration in the drive system by 50 percent, limiting system noise and extending bearing life. PowerTwist Drive is installed in basically the same way as the original PowerTwist link belting. However, belt length measurement may differ somewhat. 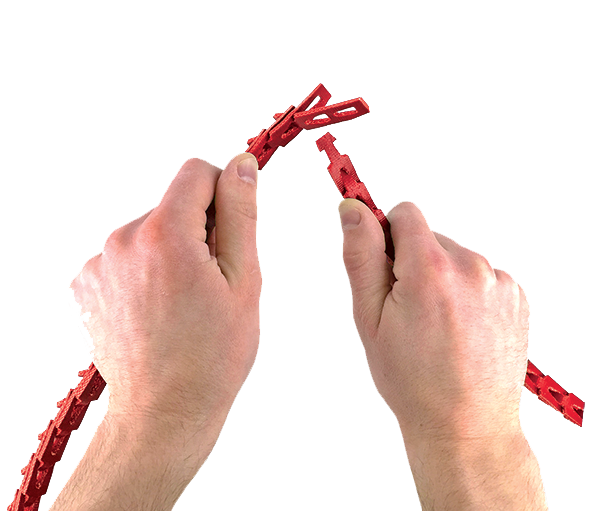 Force deflection data charts are included in the installation instructions to ensure proper tension. Like all PowerTwist products, PowerTwist Drive drops right in to existing pulley setups. For further details on time- and money-saving improvements enabled by PowerTwist Drive from Fenner, call 1-800-243-3374 or email customercare@fennerdrives.com.